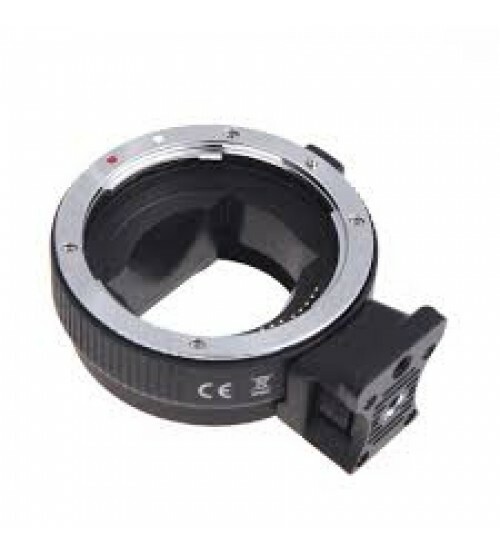 Commlite new-generation electronic lens mount adapter CM-EF-NEX is mainly used for connecting the Canon EF series lens to Sony NEX series cameras with E-mount. Meanwhile, Commlite utilizes the new electronic technology, which can make the aperture exactly being aligned via the adapter, and adjusted for auto-focus. It enhances the convenience of controlling the Canon EF series lens on Sony micro-single camera bodies in the electronic way.